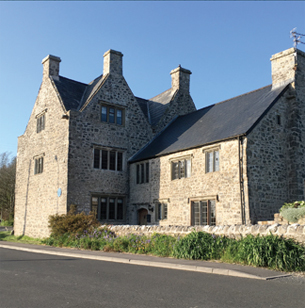 Great House, a beautiful, Grade II* listed building is thought to have been built by the Nicholl family, prominent amongst the landed gentry in the 15th Century. 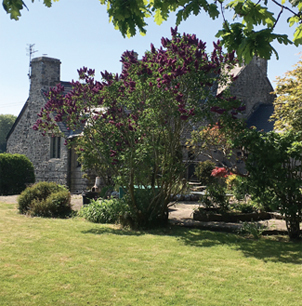 The house is an important part of Llantwit Major’s rich history. Soon you’ll be able to enjoy this beautiful house by staying in one of two guest rooms which will be available from mid July 2018. 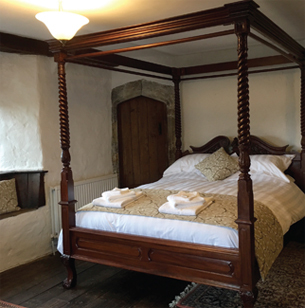 One room has it’s own ensuite bathroom, a slipper bath and a glorious Queen Anne four poster bed. The room also has a fireplace crafted from Sutton Stone. The second available room overlooks the pleasant garden and has it own private bathroom. 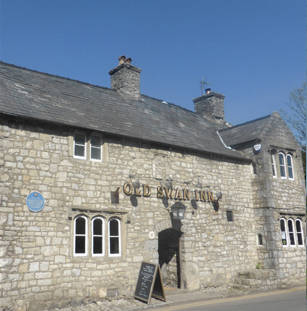 Both rooms have sofa beds and are large enough to accommodate a family of four with ease. Tea and coffee making facilities will be available in each room as well as a hairdryer and TV. 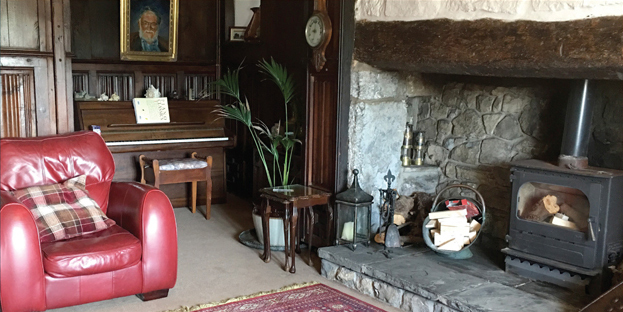 You’ll find a comfortable lounge on the ground floor, panelled walls and a log burner for chilly winter evenings, a relaxing room to sit and read or watch TV. 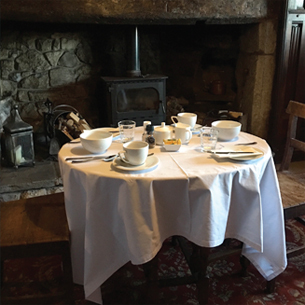 Our hearty ‘full Welsh’ breakfast will consist of fresh, local ingredients, or if you prefer a lighter option, fresh fruit and cereals, or perhaps a continental style breakfast of cold meats, cheese and pastries. You might like to try a traditional Welsh breakfast of bacon and laverbread, a delicacy made from seaweed!! Whatever your tastes, we will do our very best to ensure that the most important meal of the day provides you with the best start to yours. 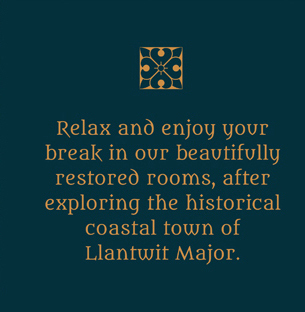 Llantwit Major, an ancient town steeped in history is only 20 miles from Cardiff’s bustling centre and has a bus and train station within walking distance, Cardiff Airport is just 8 miles away. The spectacular Heritage Coast, offering stunning clifftop walks and some of the best vistas on Wales’ south coast is just a couple of miles away. The more gentle Vale Trail Walks in and around the beautiful Vale of Glamorgan are also easily accessed. 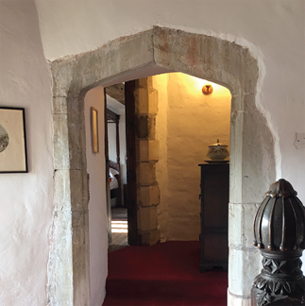 We are so looking forward to welcoming guests to the beautiful and unique dwelling and making your visit to our historic town as enjoyable as possible. We are taking bookings now for July 2018 onwards, and you can be one of the first to enjoy this unique building for your holiday.